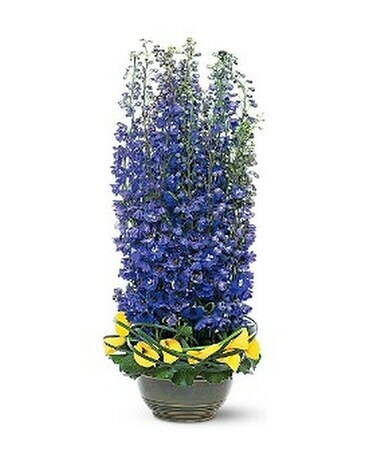 This bundle of blue delphinium towers above yellow miniature callas resting below. Makes a bright, bold statement for an office or home. Delphinium, callas and green foliage arrive in a low ceramic bowl.